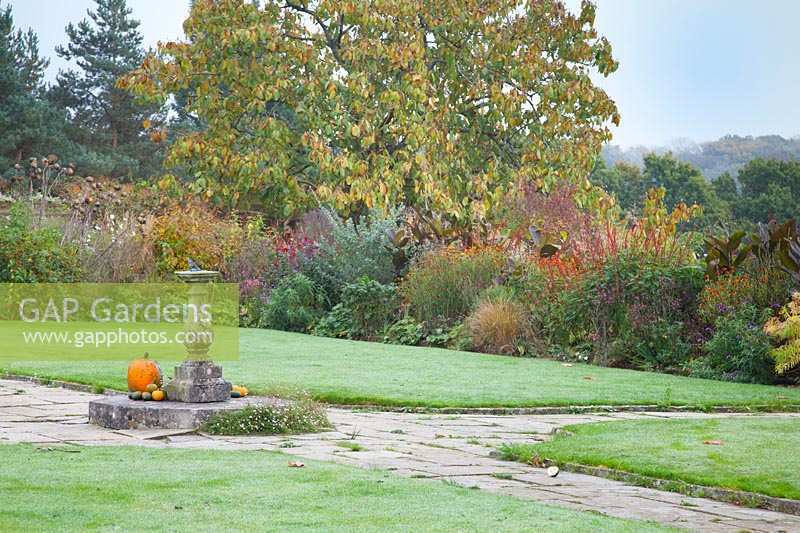 Formal lawns and sundial bordered by autumnal flowerbeds. Gravetye Manor, Sussex, UK. Image 1306055 has been added to your cart.